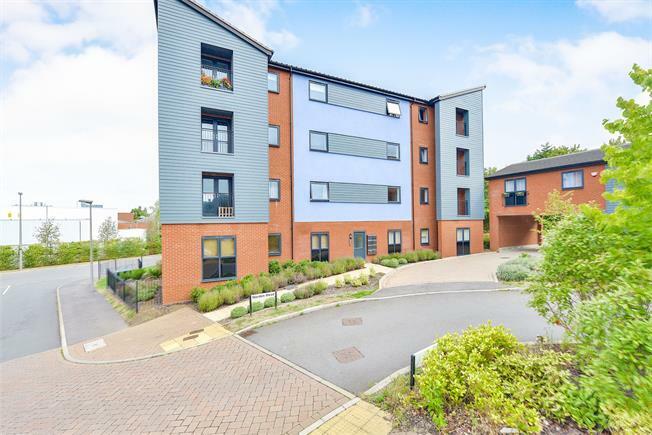 2 Bedroom Flat For Sale in Milton Keynes for Offers in excess of £200,000. Offered for sale with no upper chain this delightful two bedroom apartment offers excellent accommodation throughout and is situated in this much sought after location. The accommodation in brief comprises of communal entrance, entrance hall, lounge with balcony, kitchen, two bedrooms, large bathroom and parking. Doors to the following rooms and built in cupboard, radiator. Double doors opening onto balcony, radiator, TV/FM points, open plan through to kitchen. One and a half bowl style sink and drainer with cupboard under, further range of fully fitted base and eye level units, roll top work surface with tiled surround, space for washing machine and fridge freezer, window to rear aspect. White suite fitted to comprise of panel bath with mixer tap and shower head, WC with low level flush, pedestal wash hand basin, tiled shower cubicle and wall mounted fitted shower, tiling to splash back areas, frosted window to rear aspect, radiator.